iPad is radically transforming education and revolutionizing the way we teach and learn. With over 80,000 educational apps created specifically for iPad, both teachers and students are empowered with endless possibilities and learning experiences that were up to the very recent past beyond imagination. From apps to create interactive content and simulated experiments to apps that allow you to virtually explore the human body or navigate the wide universe and galaxies, iPad brings a world of knowledge and learning opportunities right to your fingertips. Given the burgeoning importance of iPad in education, we deemed it important to share with our readers some interesting resources to help them tap into the full educational potential of this versatile device. In this regard, we have compiled the list below featuring some important iPad tips for teachers. These are some basic functionalities to enhance your overall productivity and take your iPad usage to the next level. 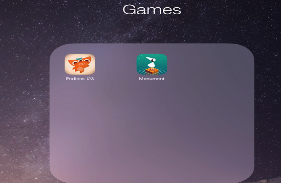 You can easily create a folder where you aggregate different sets of apps. To do so, touch and hold an app until it jiggles, then drag it on top of another app. Press home when you finish organizing. You can enhance the readability of text in apps such as Mail, Calendar, Notes…etc by making it bigger. To do, head over to Settings, dISPLAY & Brightness and click on ‘ Text Size. 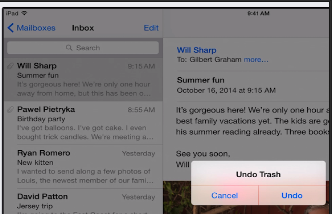 If you have inadvertently deleted an email, you can easily recover it by shaking iPad and tapping ‘Undo’. iOS 8 has an integrated dictionary that allows you to look up any word without losing your place. You simply select it, then tap Define in the pop-up menu. Using Spotlight search enables you to conduct a quick search for anything on your iPad, Wikipedia, iTunes, and many more. 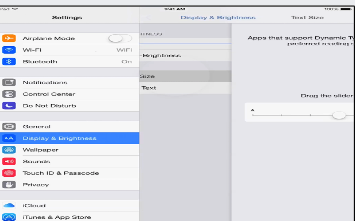 To do this, draw down the centre of the Home screen to reveal Spotlight and type in your search query. To access accented characters on your iPad’s keyboard, touch and hold a character to see alternatives. Slide to pick the one you want. Instead of typing your message, you can use the integrated icon to speak it out (including punctuations). Simply tap the mic icon on your keyboard and start speaking , when finished tap Done. Safari allows you to see the desktop version of any website you want. 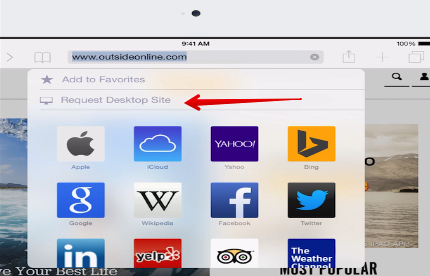 You simply tap the address field, pull down the screen, then tap Request Desktop Site. If you want to add more keyboards (e.g for emoji or other languages), go to Settings, General, Keyboard. 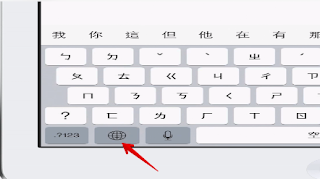 To switch keyboards, tap or hold down the striped circle whenever the keyboard appears. 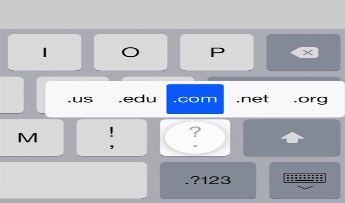 When typing Internet addresses, touch and hold the period on the keyboard to pick from .com and other suffixes. To take a screenshot on your iPad just click on the the Home button followed immediately by clicking on the Sleep/Wake button. You will hear a click sound after the shot is taken. All the screenshots are saved in your iPad's Photo's Gallery. From there you can can email or share them on popular social media. Guided Access keeps the iPad in a single app, and allows you to control which features are available. This is great when working with students. To start Guided Access, triple click the home button in the app you want to use. Check out this visual guide to earn more about how to use Guided Access. Check out the Tips app in your iOS 8 to learn more about your iPad.